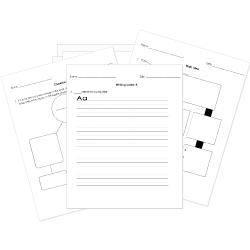 You can create printable tests and worksheets from these Grade 3 Adjectives questions! Select one or more questions using the checkboxes above each question. Then click the add selected questions to a test button before moving to another page. Choose the best adjective to fill in the blank. The eagle was than the bluebird. Thomas likes to play basketball, plays it very well. Dorrie felt like the sillyer person in the world. Choose the BEST way to correct the sentence. Dorrie felt like the sillyest person in the world. Dorrie felt like the silliest person in the world. Dorrie felt like the most silliest person in the world. The weather feels much today. Which adjective describes the noun WINDOWS in the sentence below? That was the baseball game I've seen all year. Choose the correct adjective to fill in the blank. The red bird flew than the other birds. Choose the correct superlative or comparative word to fill in the blank. Our best swimmers kick . Choose the best word to complete the sentence. I visited Raleigh and it is much than where I live. What does the adjective three identify in the sentence below? I rode the Santa Fe Railroad with three of my best friends. Which adjective describes the noun stories in the sentence below? The old man told fascinating stories about the unique history of each wonderful treasure in his shop. My pen is than Mary's pen. The hummingbird was the . Jason is wearing his yellow raincoat today. Which choice contains ONLY comparative adjectives? Which word in the following sentence is a verb? Grace loved all kinds of stories. Which of the following is a comparative adjective? Choose the word that completes this sentence. Mom said, "Please buy the tomato that is the ."